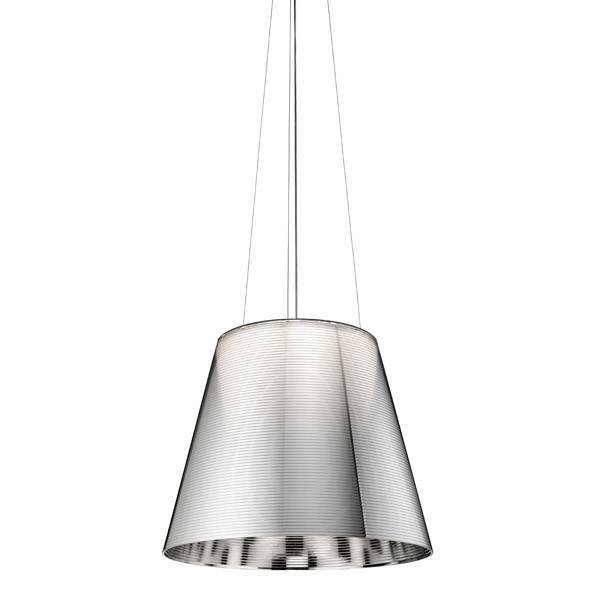 Soffio is a lamp of large proportions, but with a very discreet image. 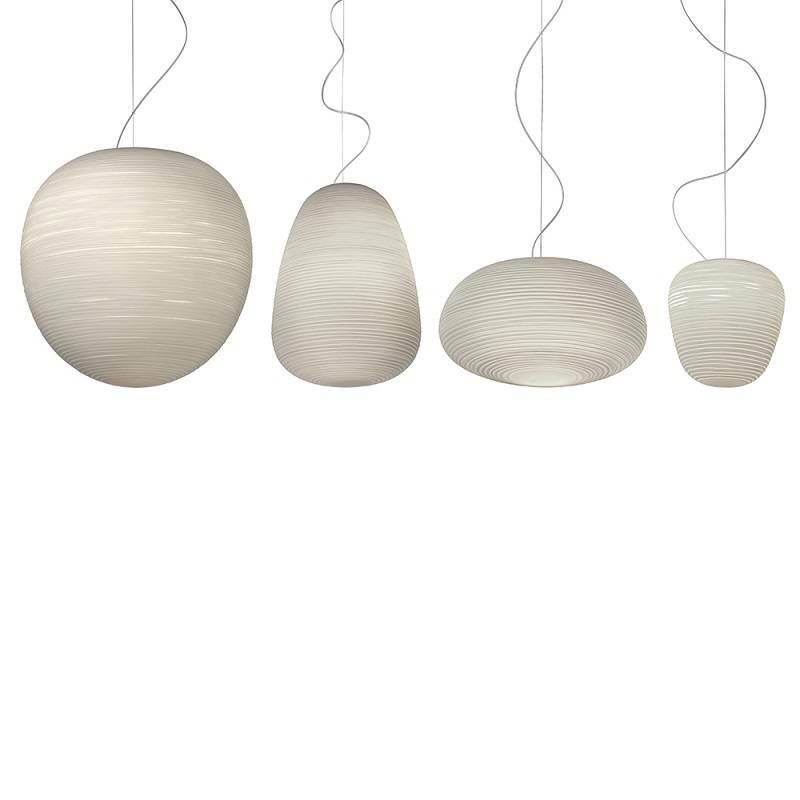 Its warm, intense light contributes to create a calm, refined atmosphere. The force and discretion of a great supporting actor. 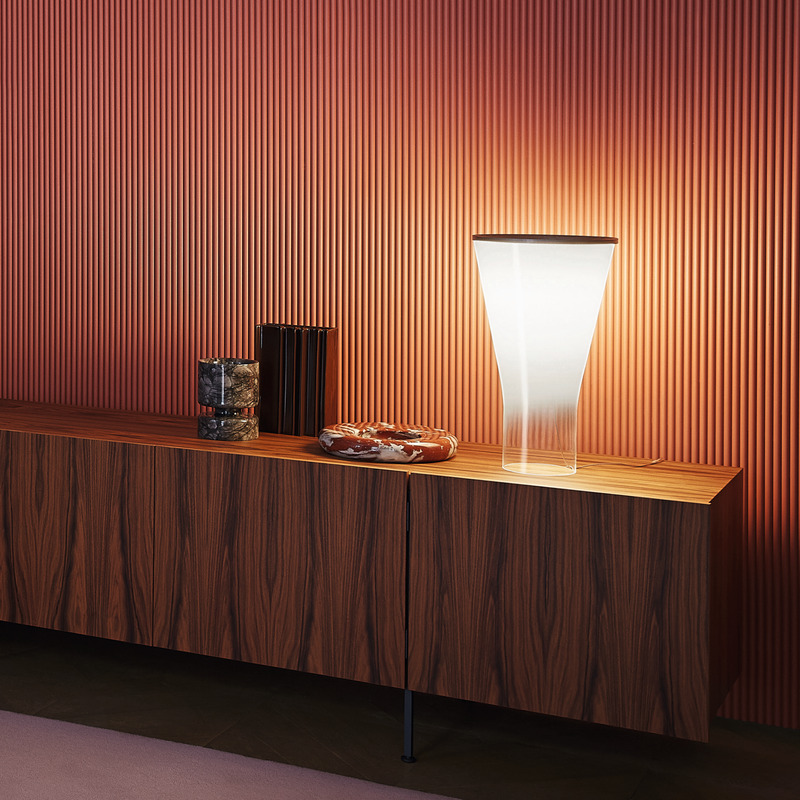 Soffio is a lamp of large proportions, but with a very discreet image. Its warm, intense light is perfect for a coffee table, a console, a footlocker, contributing to create a calm, refined atmosphere. 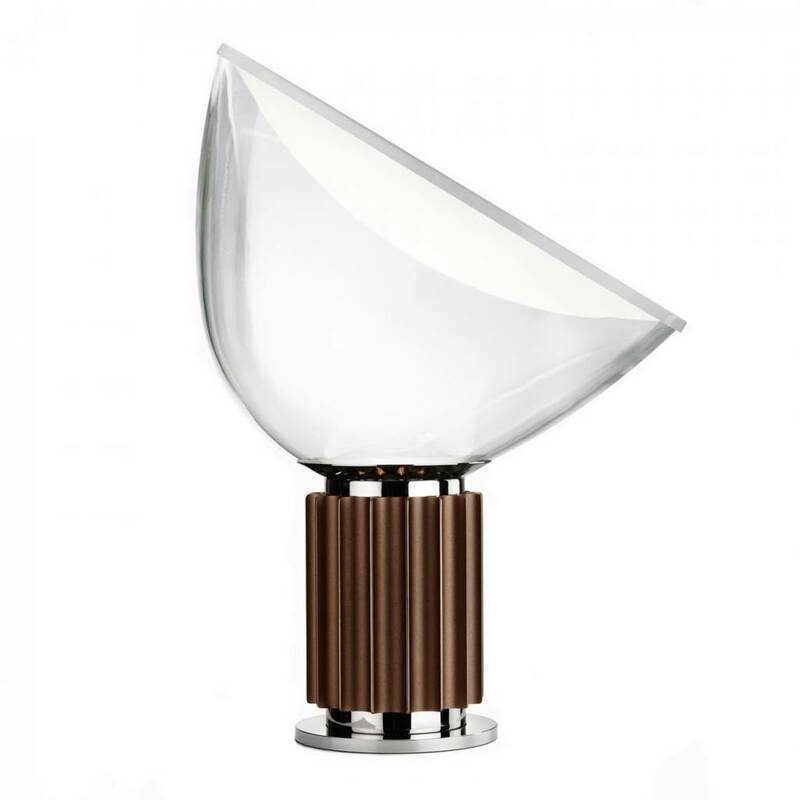 The shaded effect that sets it apart is a masterpiece of workmanship: every piece is unique, and depends on the sensitivity of the glassmaker to find the exact balance between whiteness and transparency. 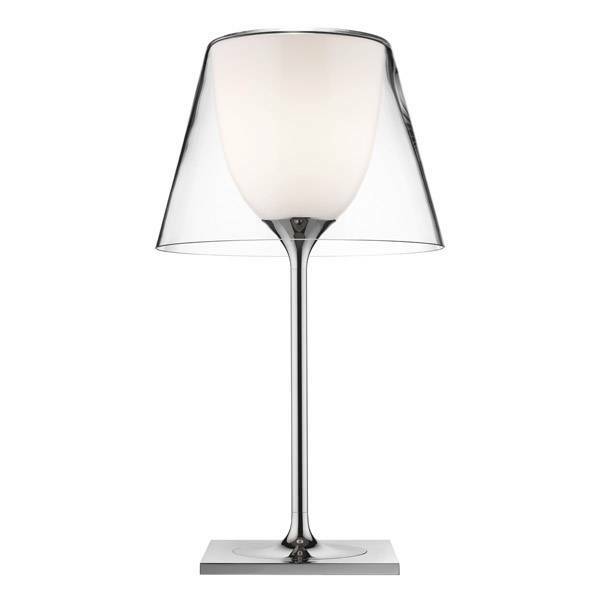 The white glass is intensely charged with light: it produces a low, spreading lustre, indicating a focal area, an atmosphere. 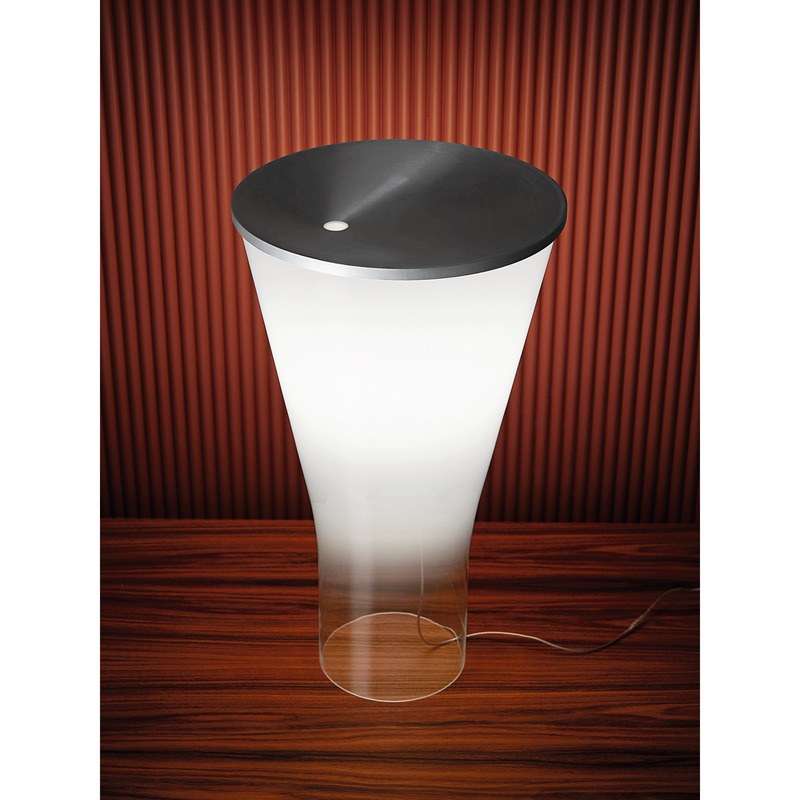 The transparent glass acts as a pedestal for the upper part: the cone seems to rise of the surface and float in the air. 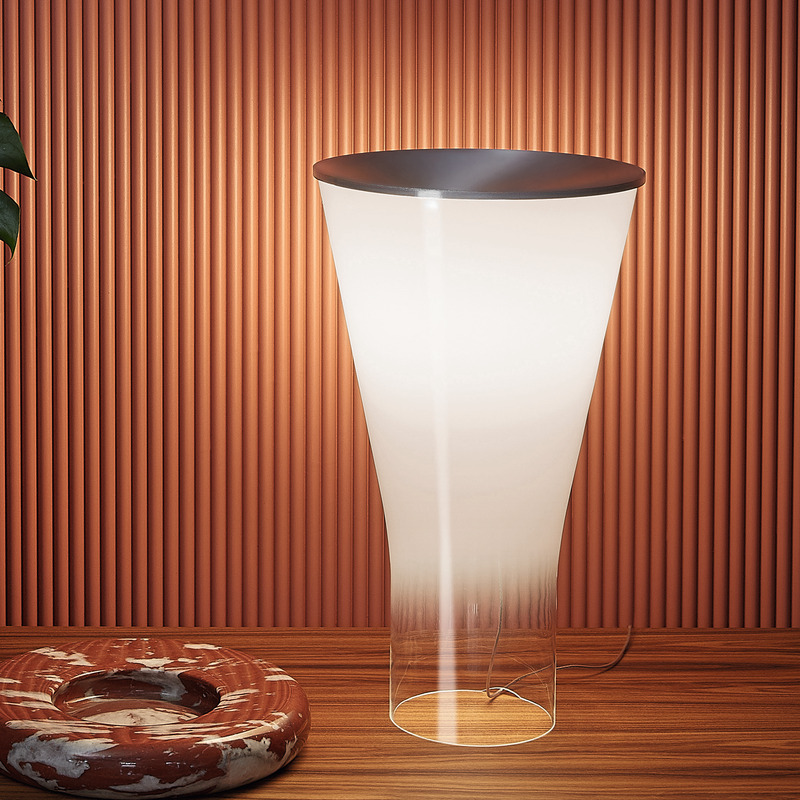 Though the lamp is a large object, the final effect is one of surprising lightness. 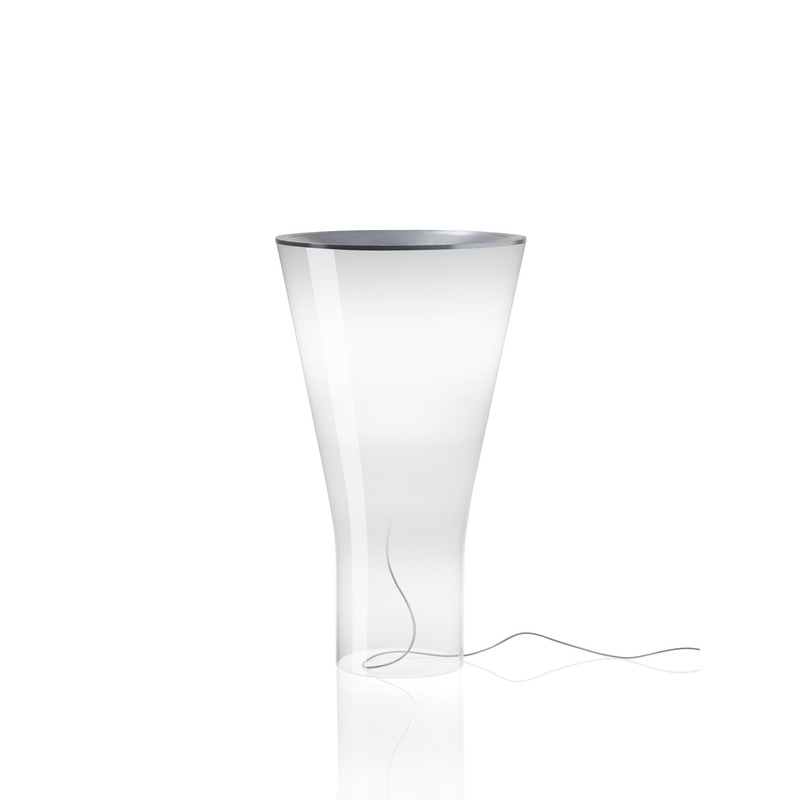 Craftsmanship and technology: Soffio’s glass conceals its inner light source. Placed in the upper part, the light can be adjusted with the disk that closes the top of the cone, thanks to a quick, intuitive touch system. Soffio turns on and of in a breath, with a simple touch of the fingertips.